You know those heavy weight plastic bags that bedding, sheets and the curtains fromBed Bath & Beyond come in? The bags that you hold onto for a while, thinking you will store something in them but eventually, but never do. 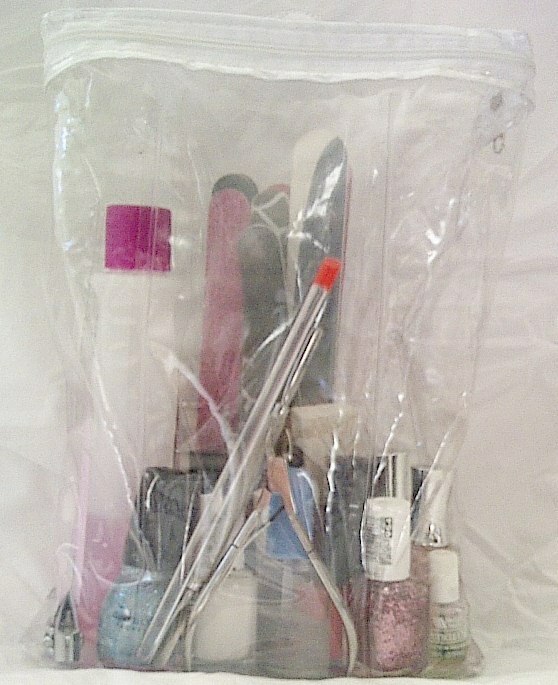 Those hard, zippered bags are the perfect storage container for an array of things and are often perfect for another new one of my obsessions…“kits”. I came across several of these bags at a client’s house and she wanted to get rid of them. I held onto them thinking I would use them for something. I started playing with the idea of a “dog park kit”. I usually use a large tote bag and throw everything into that but I found it hard to keep organized and wanted something easier that I could throw into my purse. I took a medium-sized bag (that I think a sheet set came in) and threw in 2 toys, a portable water bowl and some waste bags. It was the perfect size, totally portable and easy to see everything. My “Nail Kit” allows me to grab everything I need to do my nails and do them anywhere. 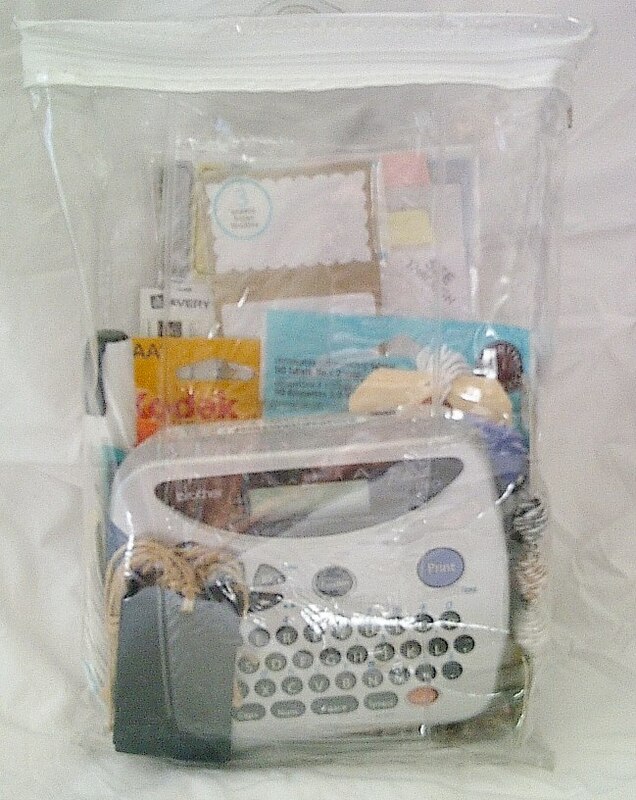 I made a “Labeling Kit” which is really useful as I am a professional organizer. I label everything and this has all the supplies I need whether I’m at home or need to grab it to take with me on a job. I have been so happy with these kits and even happier that I found a great solution that is economical, durable and I love how they look.